Besides which, they have lived so long and so variously abroad that their occasionally candid criticism of London, and of England generally, carries weight. If they approve, it is not for nothing; if sometimes they write in a fashion to jar English self-complacency, that also is not for nothing. Presumably the Gordons have met many dull people, but one would scarcely think so. Charwomen, vacuum cleaner salesmen, gas-fitters, people shopping, second-hand dealers, it is all the same to them; there is always some unexpected characteristic to be spotted. Yet the secret is simple enough. This couple are intensely interested in people, as well as in places, customs, pictures, architecture, cookery, politics, what you will. They are the perfect onlookers, constantly happening upon ideas that it seems never to have occurred to anyone else to mention. 'Nudism taken neat, is as earnest a creed, and as dogmatic, as Christian Science. Its motto is mens sana in corpore sano ... Strip the body to the buff, and two-thirds of its sexual appeal fades away. It is indeed, strange that the moralists have not yet understood this fact. Blinding themselves by the old-aged conceptions, they clamour against the indecency of the exposed body, whereas to the normal common sense, the chief argument against nudism is its appalling decency .... But from our personal outlook, too much time, energy and care seem to be spent in the mere act of being naked. 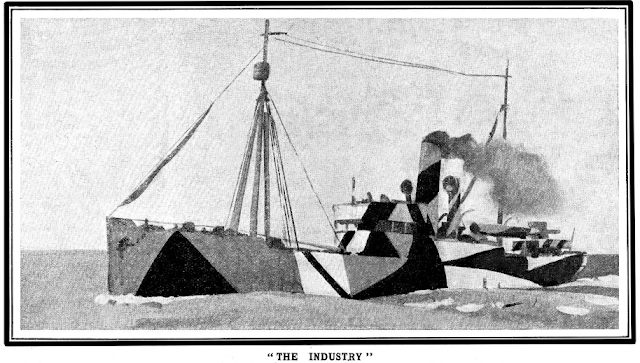 As outsiders looking on, we felt that the efforts of the members seemed directed to building up a fictitious naturalism under conditions which were far from being natural.' That, however, was an out-of-the-way experience, even for London. 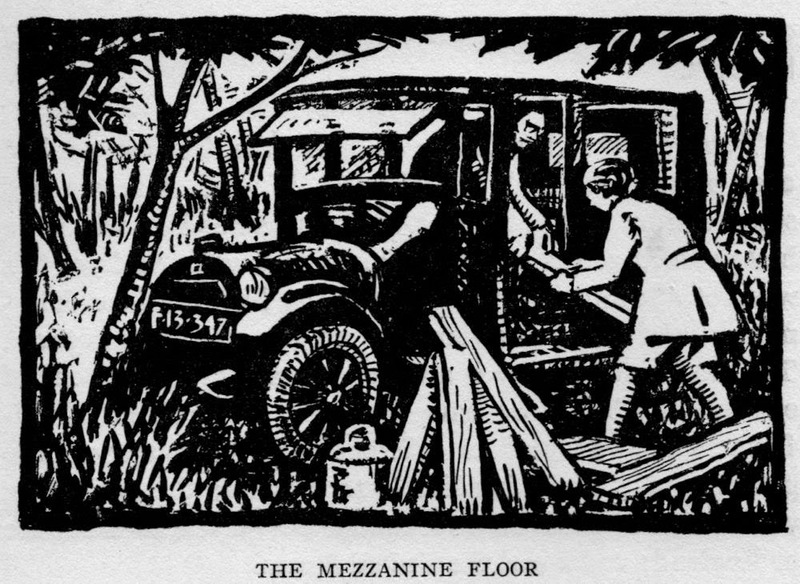 For the rest, the book is packed with delightful scenic and atmospheric descriptions and snatches of character sketch. It touches on an old Bailey trial, and includes a first rate description of an evening behind the scenes during the London Hippodrome pantomime of last season. 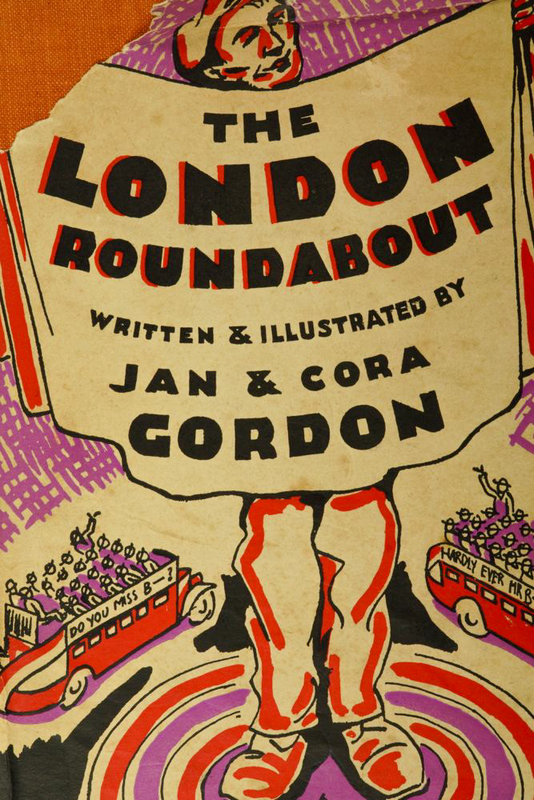 It is stimulating and racy, and obviously the Gordons can go on drawing and describing for us as long as they choose to live in London. After 350 pages, they mention a string of subjects they thought of mentioning, but had to leave out. [one of these related to the story of the Master Fiddler of Sweden and the Smiths] They must resume. 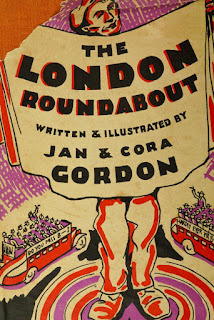 Meanwhile, "The London Roundabout" ought to go down on the list of books that one buys to keep, and again to give away.